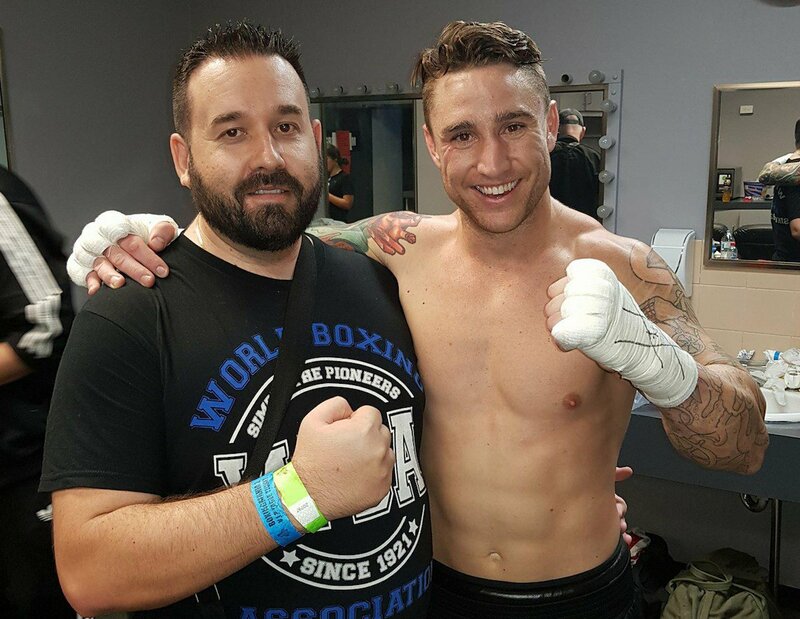 Leading Australian Super Middleweight “Captain Kerry Foley” has signed a multi-year managerial agreement with prominent boxing managerial company Dragon Fire Boxing. Foley has joined the growing stable of fighters, World rated fighters Reagan Dessaix, Andrew Moloney and Jason Moloney who has just entered the prestigious World Boxing Super Series. Kerry Foley returns September 7th in Melbourne to challenge World rated Jayde Mitchell for the interim WBA Oceania Super Middleweight Title in Melbourne on a Big Time Boxing event. Foley discusses the transition from part time to full time boxer & the improvement training under Arnel “Peter” Barotillo. “With the help of some very close people they have turned me into a full time fighter, which means I train all year round no matter what I have organised. Iv had the last year in fight prep. This is just an added 10 weeks with titles at the end of the rainbow. Top Australian fight managerial outfit, Dragon Fire Boxing have struck a multi-year managerial deal with top middleweight contender, Kerry ‘Captain’ Foley, joining a growing stable of world rated boxers, Reagan Dessaix, Andrew Moloney and Jason Moloney. Foley (19-3-1, 16 KOs), a former Australian light heavyweight champion, is scheduled to next fight world rated compatriot, Jayde Mitchell for the interim WBA Oceania super middleweight title in Melbourne on September 7 but is in ecstasy after sealing the agreement and is already fired up to reward his new managers with a good show against Mitchell. “Dragon Fire Boxing have done everything that they said they could and would do. My job is a boxer so I train and fight and leave the rest in their capable hands and they are doing awesome. One fight with them and I’ve got Jayde Mitchell. Can’t ask for any more,” Foley said. “Excited is an understatement, I love my job I love being in there and I cannot wait to show Australia what Captain Kerry Foley does. I’m more than just rum,” he added. The 30 year old Foley is coming of a round one TKO victory over Gutram Ngoya of Tanzania in Sydney in May, is also delighted with his transition from part time to full time boxer as well as the positives garnered from training with Arnel ‘Peter’ Barotillo. “With the help of some very close people they have turned me into a full time fighter, which means I train all year round no matter what. I’ve had the last year in fight prep. This is just an added 10 weeks with titles at the end of the rainbow,” he said. “Best thing I’ve done in my life. Arnel’s style is perfect for me and I enjoy going to the gym every day with him. Learning so much and he has so much more to teach. I can also understand words that he has made up that no one else can,” Kerry Foley explained.